A mysterious killer that acted like a chameleon, charming to the public, a terror behind closed doors. It all begins in Illinois when a woman goes over to a friend's place to do a little house-sitting. On Monday night, October 22, 2012 in Machesney Park, Illinois, Todd and Katrina Smith are hanging out at home. The lovebirds just returned from an anniversary trip to Washington, D.C., celebrating seven years of wedded bliss. And there is plenty to celebrate, including a possible new job for Mrs. Smith. The 30-year old human-resources coordinator lands a huge interview scheduled for the very next morning. While Katrina finishes up some laundry, she hops on her husband's computer to finalize the details. After confirming her morning meeting, Todd says Katrina heads out to a friend's condo where she's currently house-sitting. The next morning, the 44-year-old insurance and investment broker sends a text to his wife which reads "Good luck at your interview. You're gonna be awesome." Oddly, Katrina doesn't respond. The day comes and goes and still no word. Todd is getting really anxious. Then suddenly the phone rings: Katrina hadn't shown up for work. And her big interview? She missed that too. So where is Katrina Smith? Panicked, Todd Smith heads to the sheriff's station. Investigators check Todd's computer and confirm the emails sent from Katrina to her potential new boss. Immediately investigators begin a search of the area. Katrina's family sets up a Facebook page where they organize volunteer search parties. The Winnebago County Sheriff's Department officially classifies Katrina Smith as a missing person and takes the lead on the investigation. Katrina's abandoned Chevrolet Cruze is discovered at the intersection of Obispo Road and Ventura Boulevard about two miles from her home. Investigators on scene believe the car has been wiped clean and tow it in for forensic processing. Two days later, another startling discovery: Local law enforcement and volunteer searchers find Katrina's wallet and cellphone just feet from her abandoned vehicle -- and bloodied paper towels. Friends and family rally around Katrina's distraught husband Todd Smith as he makes pleas for her safe return. It's day four in the search for Katrina Smith. Her husband Todd speaks out once again to the media for the fourth day in a row. Cameras roll as he is overcome with emotion. Winnebago County Sheriff's detectives from make a stunning discovery: Katrina has a secret. The married stepmother is having an affair with Guy Gabriel, a married man from a town over, and a co-worker of Katrina's. When investigators run a background check on Katrina's secret lover, they uncover a violent past. Police records reportedly reveal an arrest for domestic battery of Guy Gabriel's wife. Detectives retrieve text messages from Katrina's recently recovered cellphone, and it's a powder keg of intelligence. On the night Katrina went missing, Guy Gabriel sent her a barrage of text messages. One of guy's texts to Katrina asks, "What's wrong?" And another reads: "Have you told him you want a divorce? That there's nothing left in you for him. Nothing." Then the texts, which continue late into the night, appear to take on an aggressive tone when Gabriel writes: "He wants this his way...well news flash...he has no say." Then, more explosive evidence: the missing woman's co-workers confirm to police that Katrina thought she was being stalked in the weeks leading up to her disappearance. Katrina's co-workers share a disturbing incident with police that occurred just two weeks before Katrina went missing. "An individual drove through her work parking lot in disguise and distributed several flyers," said Winnebago County Prosecutor Marilyn Hite Ross. That flyer was to expose her secret boyfriend, Guy Gabriel. It was entitled "Guy [----] Cat," and stated in part that he "was able to [----] Catrina from H-R in record time. ... Yeah she's married with a family but when I turned on the charm, her legs fell open." Who is the mystery man behind the X-rated flyers? Katrina and Todd Smith were married on paper. But in real life, they were done. Katrina Smith, 30, had now been missing for two weeks. 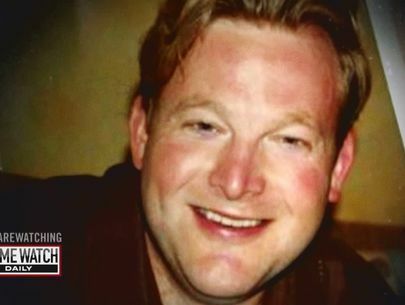 Detectives interviewed Katrina's lover and co-worker Guy Gabriel. He claims he was working the night Katrina went missing. "There was some issues with him, his involvement in a domestic issue with his wife, but we don't feel that had any involvement in this incident at all," said Winnebago County Sheriff's Detective Bob Juanez. Investigators turned their attention toward someone nobody first suspected: Katrina's husband, Todd Smith, who has been on TV every day since her disappearance, begging for his wife's safe return. Detectives wonder is Todd Smith really a grieving husband or a killer crying crocodile tears? Katrina wasn't the only one keeping secrets. Todd, a 44-year-old insurance and investment broker, is hardly the money man he claims to be around town. As seen in court documents, Todd and his business partners are accused of bilking clients out of $983,000. In addition, he had been indicted on seven counts of mail fraud and 10 counts of wire fraud in connection with the alleged charges. Todd pleaded not guilty. "But no one knew that other than herself," said Marilyn Hite Ross. "That was something that was not shared with family members. Everyone thought that he made money, that he was the breadwinner." In reality, Katrina supports Todd and his three daughters. It's a shift in traditional gender roles and a strain on the marriage. "She realized that she needed to end the marriage," said Hite Ross. But you'd never know it according to Todd's statements to detectives. "He stated his relationship with Katrina was good, that Katrina was just staying at a friend's house while she was house-sitting," said Det. Juanez. "She had moved out of the marital home approximately two and a half weeks prior," said Hite Ross. And Todd was desperate to get her back. And how do cops know this? "There was a card recovered from Katrina's vehicle He's begging for her not to leave him," said Det. Juanez. In the handwritten card, Todd writes in part: "I am scared to death that you are going to start talking to someone who will take advantage of the situation," and goes on to say "I will do whatever it takes." And he ends the note with: "I want to grow old with you. I love you and cherish you Katrina. Love Todd." And recovered texts between her secret lover Guy Gabriel and Katrina Smith reveal something happened between Mr. and Mrs. Smith the night she vanished. Guy texts: "It will be over before you know it and then the healing begins." Then he writes, "It's your house...you either sell or he goes." And continues, "Did you tell him too little too late?" Detectives get news that Katrina's purse has been found. "She had notes that were recovered regarding appointments with a divorce attorney and they were in her purse," said Winnebago County Prosecutor Marilyn Hite Ross. Detectives start piecing together the night Katrina disappeared. Katrina went over to do laundry and air some dirty laundry of her own, asking Todd for a divorce. 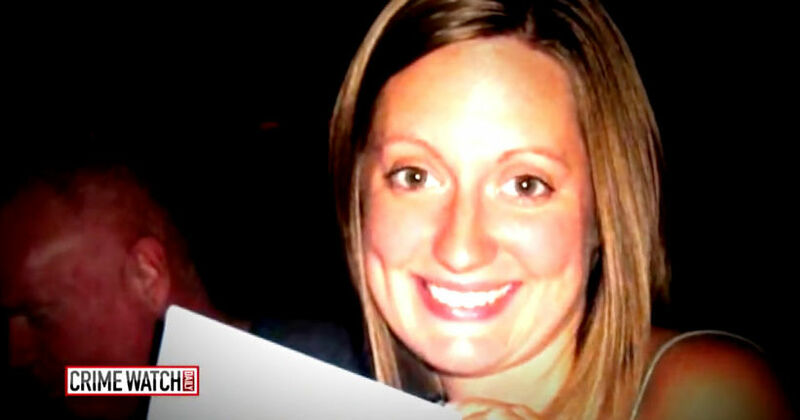 Authorities now believe the last person who saw her alive was her husband, a man she thought she knew. But as it turns out he was keeping some giant secrets of his own. Katrina didn't even know her husband's real name. Todd Smith isn't even Todd Smith. His real name is Todd Raprager. Todd Raprager changed his name to Todd Smith after being convicted of arson as a teenager. "He had previously been arrested when he was 17 for trying to burn his family's house down while his family members were in it," said Miraynda Salinas, Katrina Smith's sister. Raprager was sentenced to 30 months' probation and required to get a voluntary drug evaluation -- a secret his wife's family says Katrina never knew. What else is Todd Smith hiding? Winnebago Sheriff's investigators obtain a subpoena for Todd and a warrant to search his home and seize several items, including his computer. 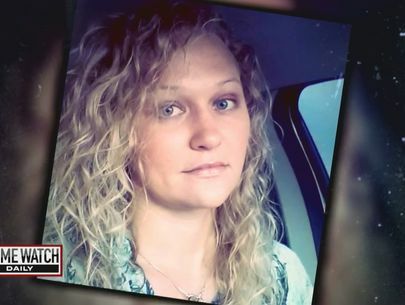 It had now been 17 days since anyone has seen or heard from missing Illinois woman Katrina Smith. While investigators waited for forensic results on items seized from Todd's home, detectives are struck by the frequency of Todd's news interviews: every day for 17 straight days, the seemingly grieving husband has made emotional pleas through the press. Det. Juanez finds a technological goldmine of jealousy and obsession on Todd's laptop computer. On the laptop cops recover three folders of interest. One is entitled "ks10412," which is the date Katrina allegedly met her secret boyfriend Guy Gabriel for drinks. And then a second folder that appears to be related to that X-rated flier that was distributed at Katrina's workplace. "Through the investigative work at the Winnebago County Sheriff's Department to find remnants of that flier that was distributed on his computer," said Marilyn Hite Ross. Then there's a third folder, and it grabs the attention of Detective Juanez. It's entitled "Super Trackstick." "A Super Trackstick is a device or a GPS device that is used to track a movement of a person or on a vehicle," said Juanez. "The satellite signal will track every movement by capturing GPS coordinates. He was tracking his wife for some time." For three years, according to the tracking logs. But investigators need physical proof that Todd has been stalking his wife and pass on the information to the forensics team processing her car. And when they check under Katrina's vehicle? He had taken it off the car, according to Det. Juanez. But they did find something else. "A wire that was located underneath Katrina's vehicle, so we knew that something had been fixed to that vehicle," said Juanez. "There was some video that was recovered," said Juanez. It's home surveillance video from one of Todd's and Katrina's neighbors. Detectives believe the image of a small-statured person walking southbound is of Todd, but it's grainy and far away, so it could be anyone. Then an explosive moment in the case when the forensic results on Katrina's car come in. "In Katrina's car we sprayed a chemical which reacts with blood, and when it does it causes the blood to luminesce, or glow," said Winnebago County Sheriff's Crime Scene Investigator Tim Speers. Blood is everywhere. The blood DNA identifies Katrina Smith. But Todd Smith's blood or fingerprints are nowhere to be found. 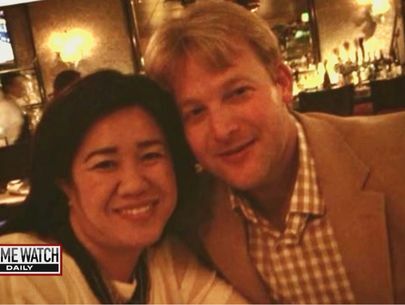 At this point in the investigation, detectives can prove Todd stalked his wife, but they can't prove he killed her. "There was no one else. There were no other suspects. It was him," said Prosecutor Marilyn Hite Ross. "We obtained a second search warrant for the computer," said Det. Juanez. Katrina Smith is missing and presumed dead. And police now believe the man she married has been acting more like a stalker than a husband. But, the big question: Was he a killer? Detectives learn about updated tracking software and they get a second search warrant for Todd's computer. It's a success and a game-changer for the prosecution's case. "We were able to pinpoint exactly where that tracking had been tracking," said Juanez. "The tracking device shows hundreds of 'pings,' which is consistent from somebody walking." On the night Katrina went missing, Todd's GPS device appears to move from Katrina's vehicle to a person's body. And the coordinates show this mystery man is on the move. "Somebody leaving the vehicle, removing the tracking device from her vehicle and then walking back to Todd Smith's residence," said Det. Juanez. Then detectives get a hunch, and take another look at that home surveillance video recovered from one of the Smiths' neighbors. And when they compare the GPS movements to the video, it's an exact frame-for-frame match. "The pings show us he's walking on the sidewalk. It shows when he's walking on the fields as he's crossing over through fields," said Juanez. Detectives surmise the video captures Todd Smith on his way home after he killed his wife. But why is the tracking device tracking Todd? "He took it off the car and at that time we believed he either thought he was turning it off and he turned it on instead and that's when it started tracking him," said Juanez. Todd's perfect murder is being perfectly recorded. He almost got away with it -- except for one final action he made after murdering his wife. "The biggest mistake that night, he plugged in that tracking device and it grabbed all the coordinates," said Det. Juanez. But before prosecutors can charge Todd with murder, they need more direct evidence that Katrina Smith was murdered. Then, a grave discovery: a fireman is fishing on Illinois' Rock River and notices something caught on a log near the river's edge. It's the body of a woman. "It was very decomposed. In order to identify her the investigators had to contact and look at dental records so that we could actually identify her," said Marilyn Hite Ross. Tragically, it is Katrina Smith. Four days later the autopsy results are in and the coroner rules Katrina's death a homicide by blunt-force trauma. "It was intensely brutal. She was beaten over the head and body and thrown into a river," said Crime Scene Investigator Tim Speers. But how was Katrina killed? Investigators still don't have a murder weapon -- or do they? That's when they hear a disturbing story from Todd's own children. "The defendant was there with his daughters and a friend to collect items from the house. The defendant ordered another friend to go collect the bat," said Winnebago County Deputy State's Attorney James Brun. A Louisville Slugger aluminum baseball bat. "He was taken back and surprised and very upset that the bat was missing from that garage," said Hite Ross. "The bat was already in our custody." 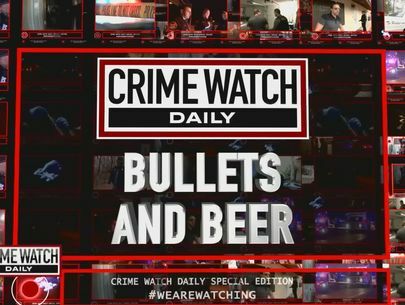 And only Crime Watch Daily gets invited into the evidence room for a look at the alleged murder weapon. Blood was found on the bat, and when the DNA from that blood was tested, Katrina's blood was identified on the bat, according to Tim Speer. Now with the alleged murder weapon, Katrina's body, forensics from the computer and video surveillance, the Winnebago County District Attorney's Office makes its official and charges Todd Smith with murder, aggravated battery, aggravated domestic battery and concealment of a homicide. Todd pleads not guilty. The defense claims there's no direct physical evidence tying Todd to the crime. Todd Smith's fingerprints and his DNA were not found on the bat or other evidence and there was no eyewitness to the alleged murder. But the defense appears to be grasping at straws claiming Katrina's secret lover, Guy Gabriel, is the real killer, telling the jury Gabriel's alleged domestic abuse record is enough reasonable doubt to warrant a not-guilty verdict for their client. But there's a big hole in that story: Guy Gabriel's alibi is rock-solid. "It was determined that he was at work the night of the incident," said Winnebago County Detective John Berg. In closing arguments the prosecutor literally comes out swinging. "Ms. Hite Ross took the bat and graphically showed the jurors how many times he had to swing the bat to do the injuries and damage that was done to Katrina," said Winnebago County Deputy State's Attorney James Brun. After three weeks of testimony, a jury of 10 men and two women hands down the verdict, finding Todd Smith guilty of first-degree murder. Todd Smith was sentenced to 59 years behind bars -- a life sentence for the now-50-year-old man. He plans to appeal the verdict, still clinging to his innocence, reading a verse from the Bible in open court. "King Solomon said 'Who so findeth a wife findeth a good thing and obtaineth the favor of the Lord.' In closing, although I am not guilty of the acts the state portrayed, I harbor no ill will towards anyone," Smith said in court. Katrina's family now looks forward to the future. "We want to just be able to move forward and just always remember Katrina and just celebrate the person that she was," said Katrina's sister Miraynda Salinas. "Katrina was a beautiful person inside and out, and she really made the world a better place just by being in it."